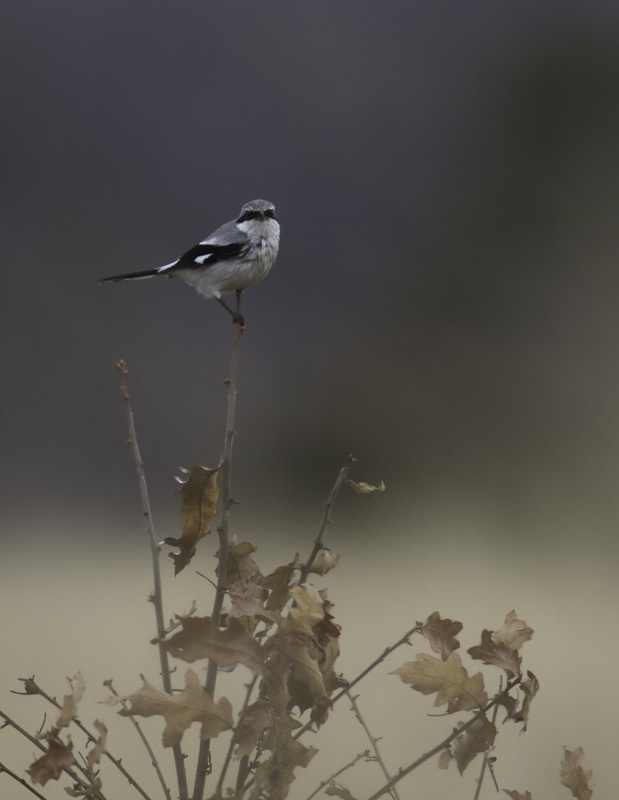 Early spring in Maryland. 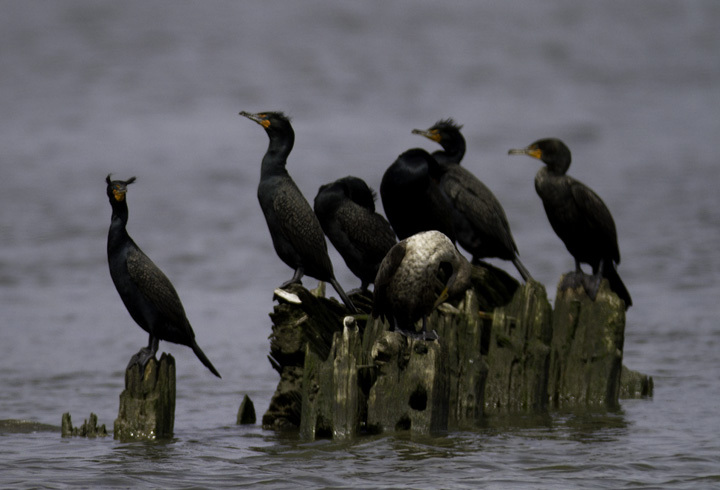 Last updated: 4/11/2011. 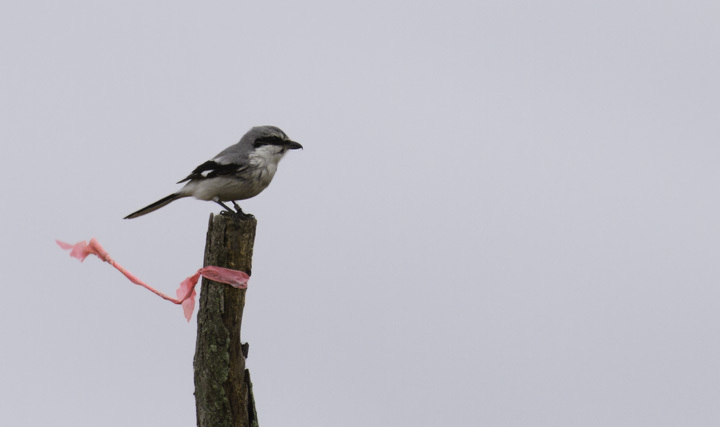 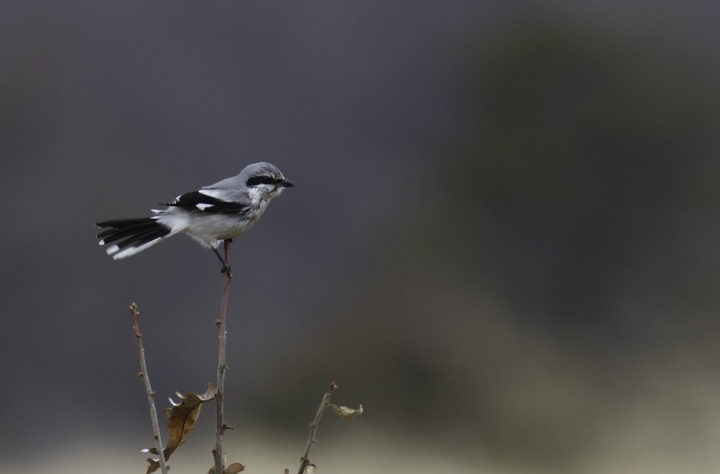 Above and below: The Chino Farms Northern Shrike permits a brief photo shoot on a rainy March morning (3/6/2011). 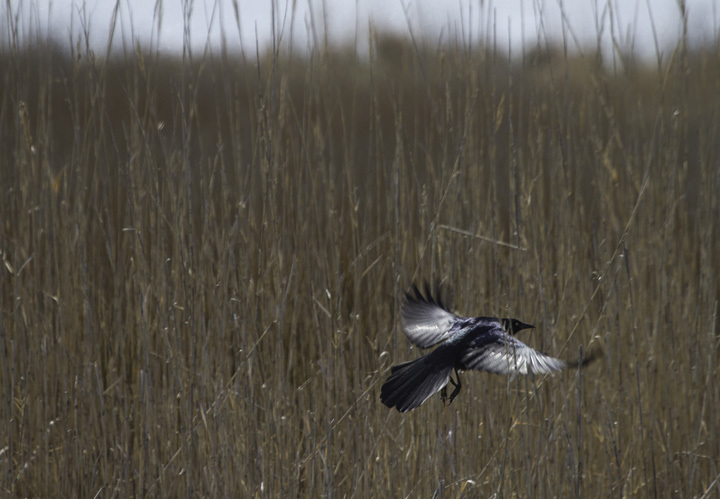 Below: A male Boat-tailed Grackle at Waterview, Wicomico Co., Maryland (4/10/2011). 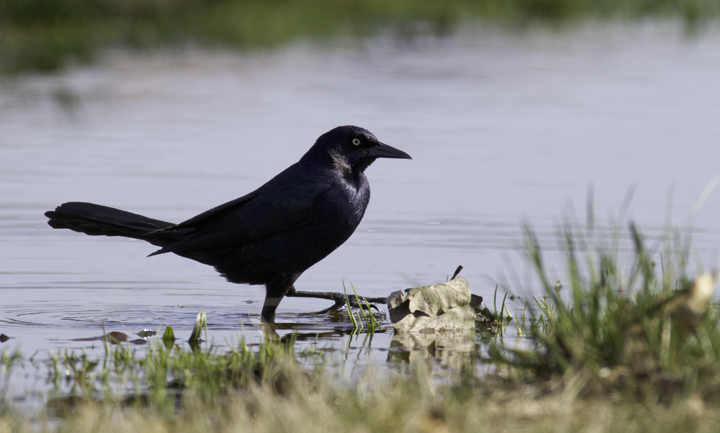 Scarce in the county. 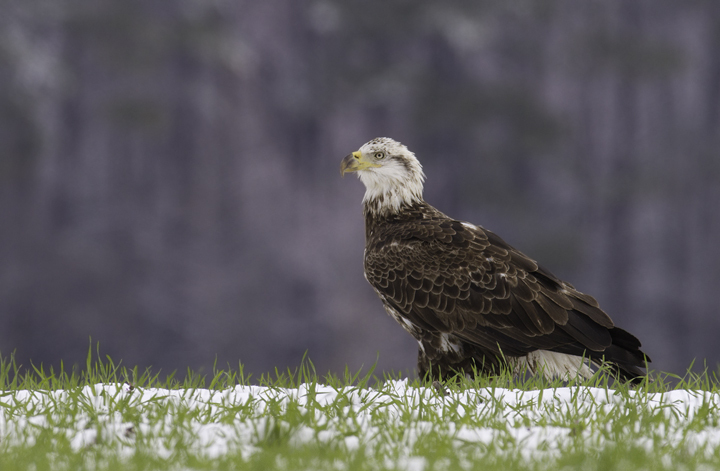 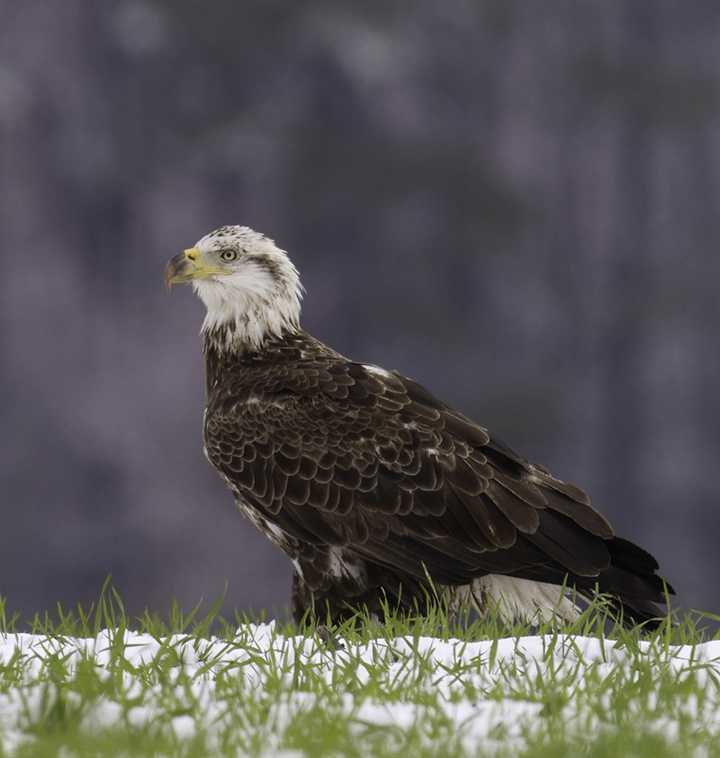 Below: A third-year Bald Eagle in Wicomico Co., Maryland (3/27/2011). 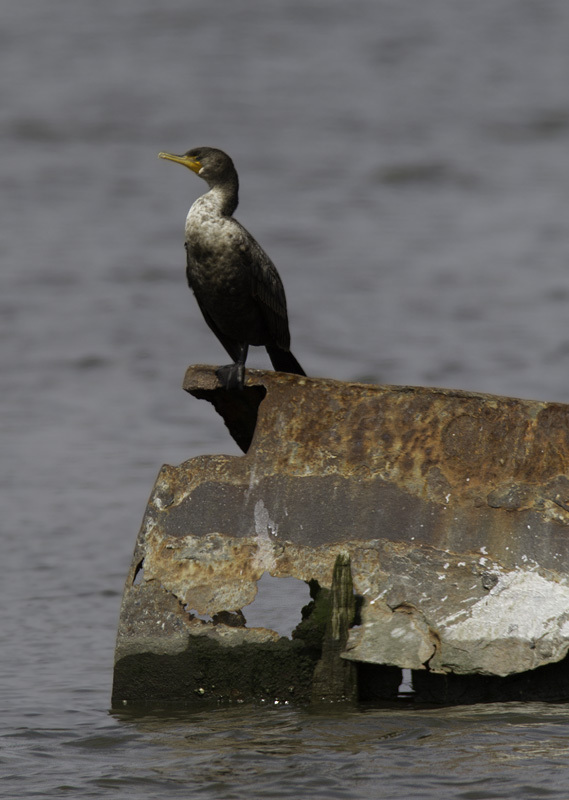 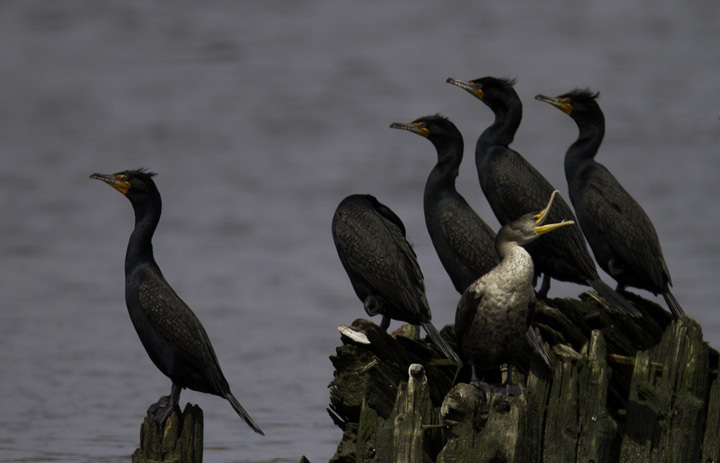 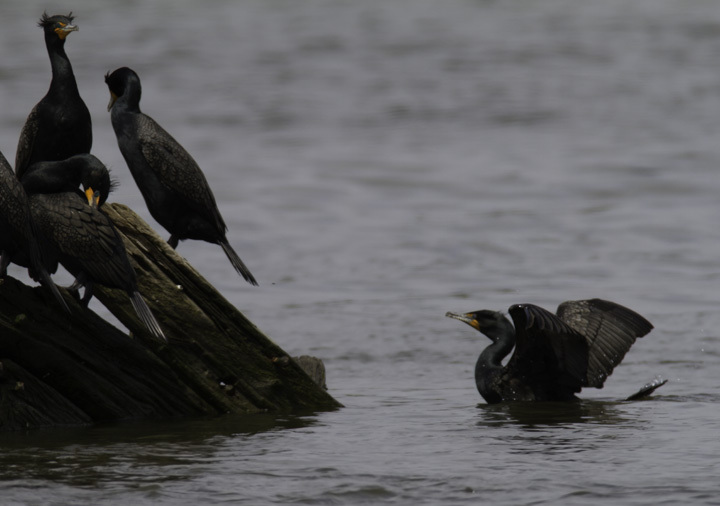 Below: Double-crested Cormorants roosting on the Wicomico River, Maryland (4/10/2011). 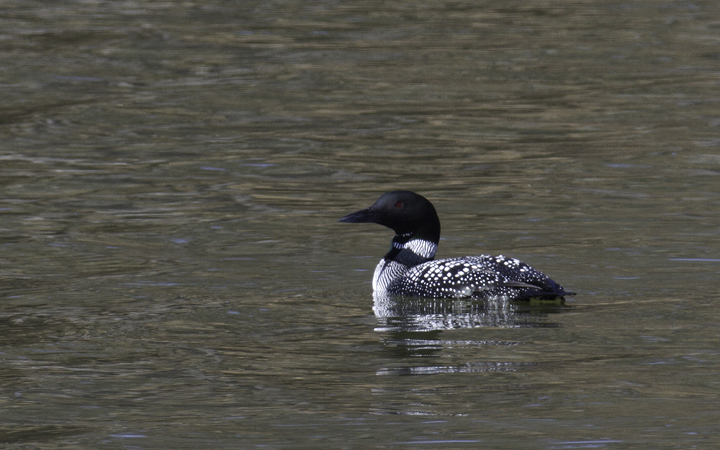 Below: A Common Loon in breeding plumage at Piney Reservoir, Garrett Co., Maryland (3/26/2011). 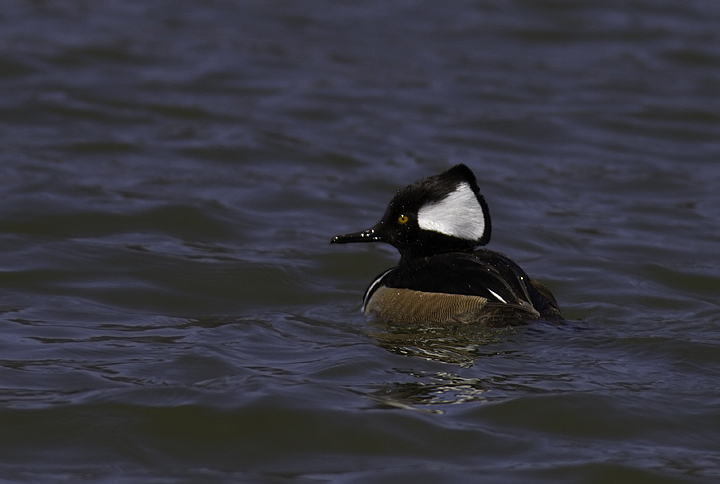 Below: Male and female Hooded Mergansers in Garrett Co., Maryland (3/26/2011). 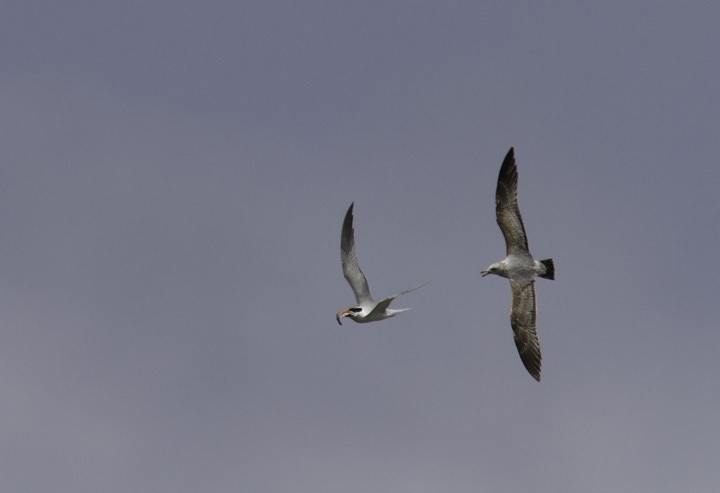 Below: My first sighting of Forster's Tern for the year in Maryland - Whitehaven, Wicomico Co. (3/27/2011). 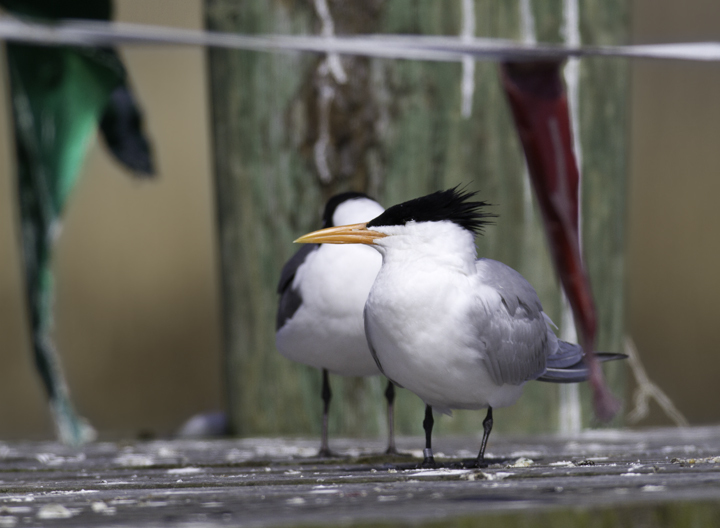 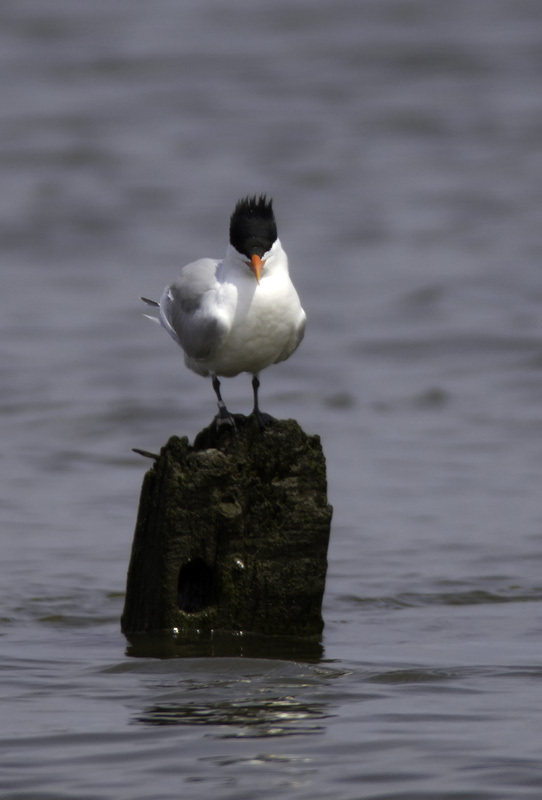 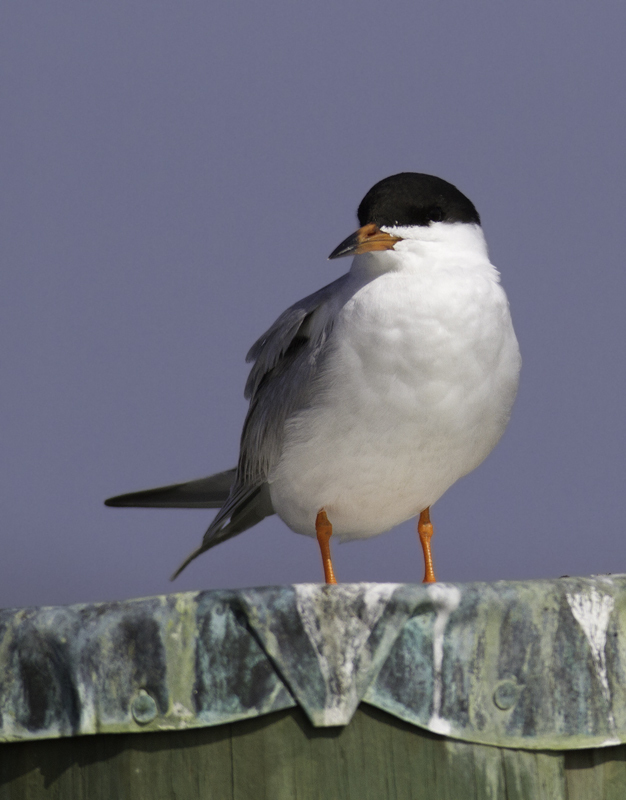 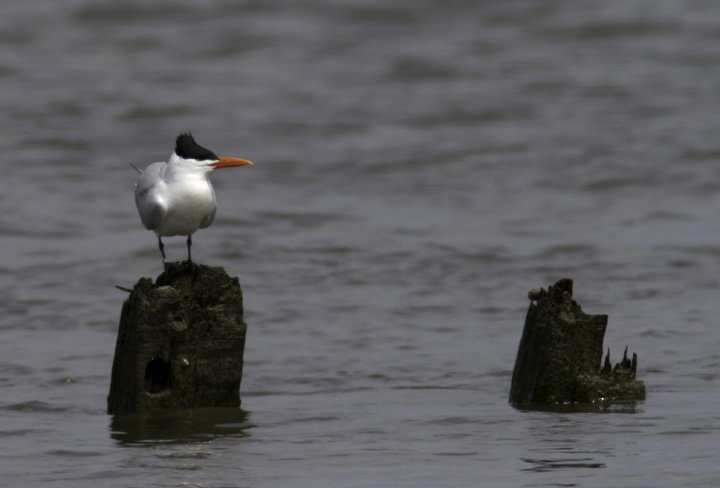 Below: The first Royal Tern of the year in Maryland - Whitehaven, Wicomico Co., Maryland (3/27/2011). 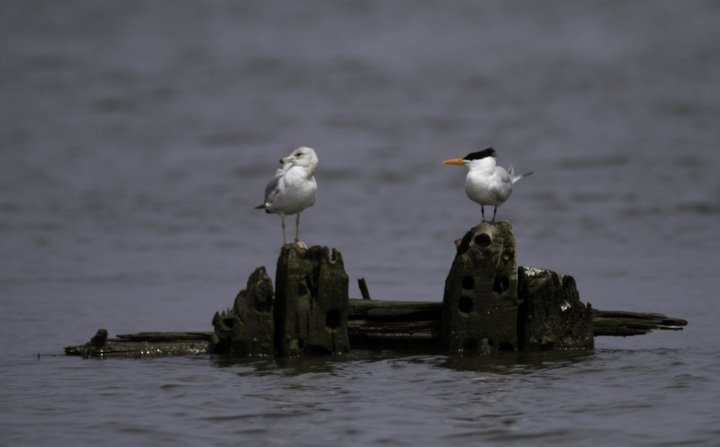 Below: Two weeks later, dozens are loafing and hunting along the Wicomico River in Wicomico and Somerset Counties (4/10/2011). 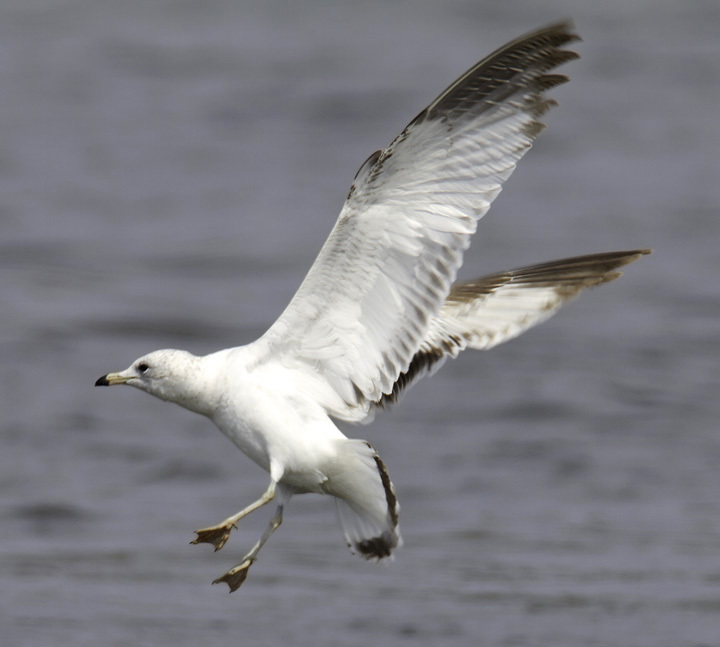 Below: A first-cycle Ring-billed Gull in Somerset Co., Maryland (4/10/2011). 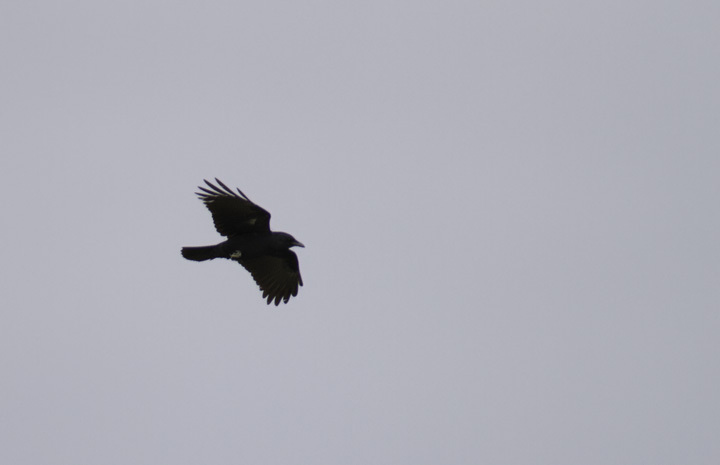 Below: A Fish Crow in flight over Salisbury, Maryland (4/10/2011). 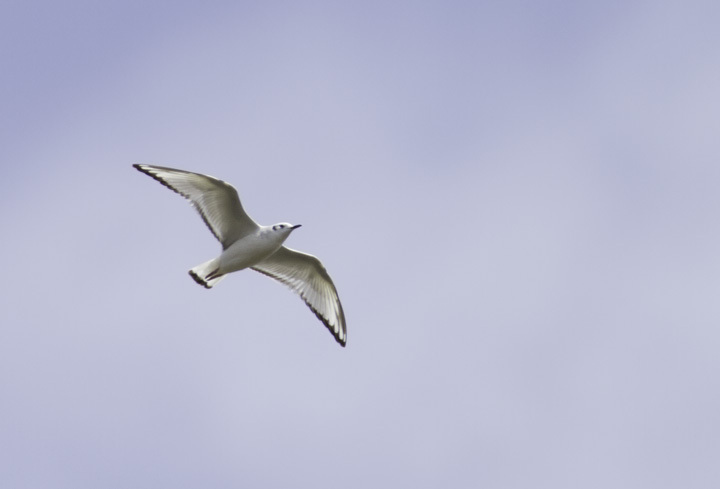 Below: An adult Laughing Gull in flight in Salisbury, Maryland (4/10/2011). 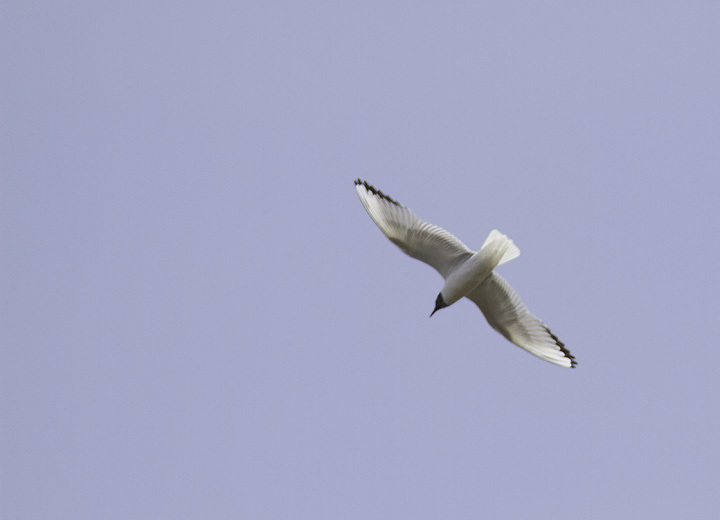 Below: A migrant first-cycle Bonaparte's Gull soars over Somerset Co., Maryland (4/10/2011). 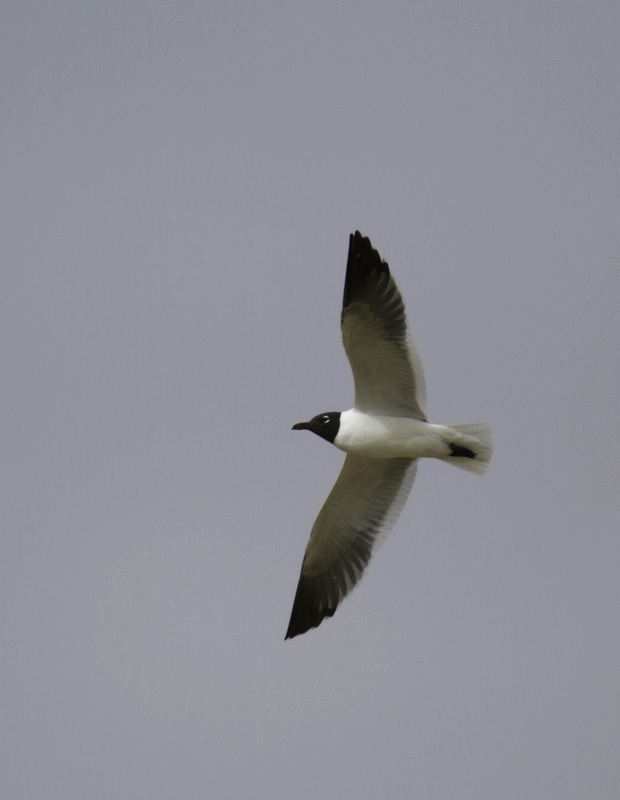 Below: An adult Bonaparte's Gull over Somerset Co., Maryland (4/10/2011). 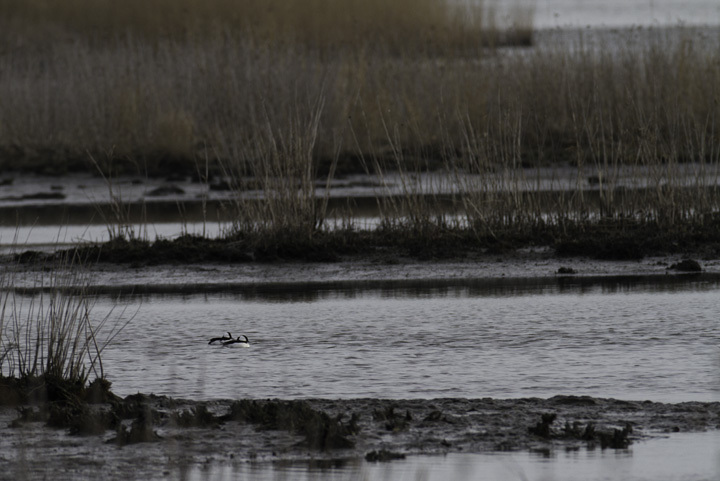 Below: A Green-winged Teal x Common Teal intergrade at Tanyard Marsh, Caroline Co., Maryland (3/27/2011). 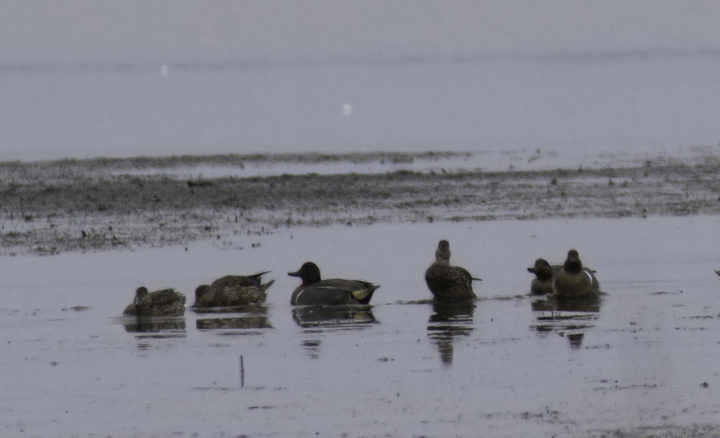 Note the presence of both the vertical white stripe associated with Green-winged Teal and the horizontal white stripe associated with Common Teal. 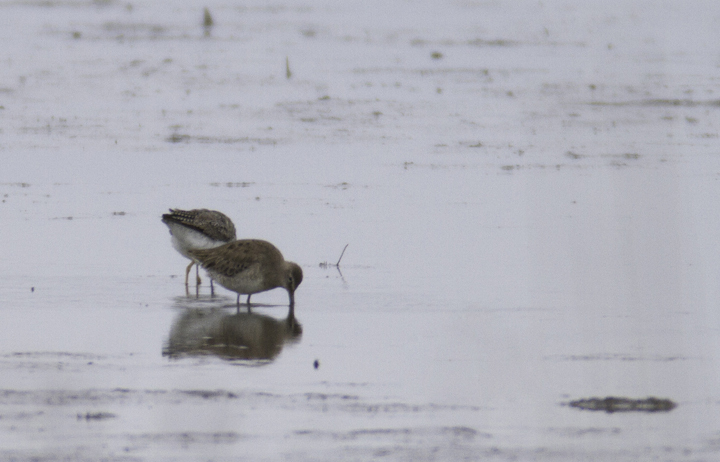 Below: A documentation shot of a Long-billed Dowitcher found at Tanyard Marsh, Caroline Co., Maryland (3/27/2011). 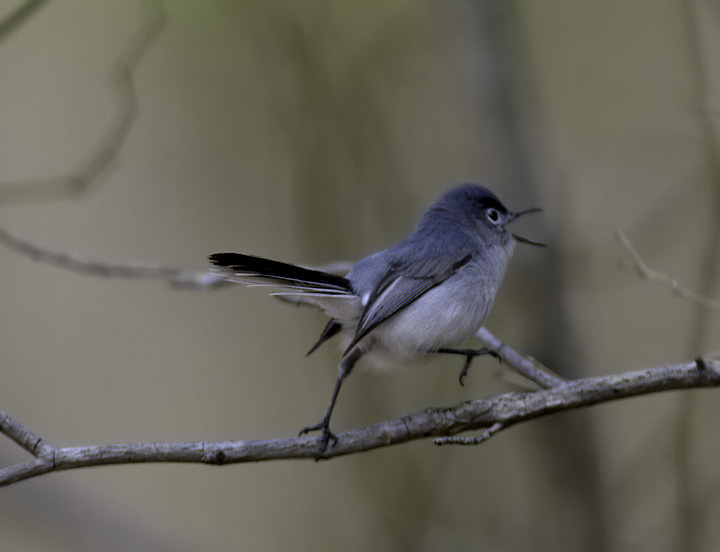 Below: A Blue-gray Gnatcatcher comes in for the kill at Ellis Bay WMA, Wicomico Co., Maryland (4/10/2011). 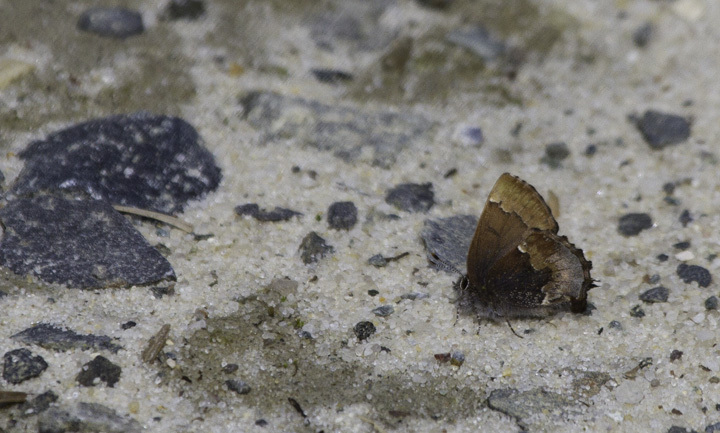 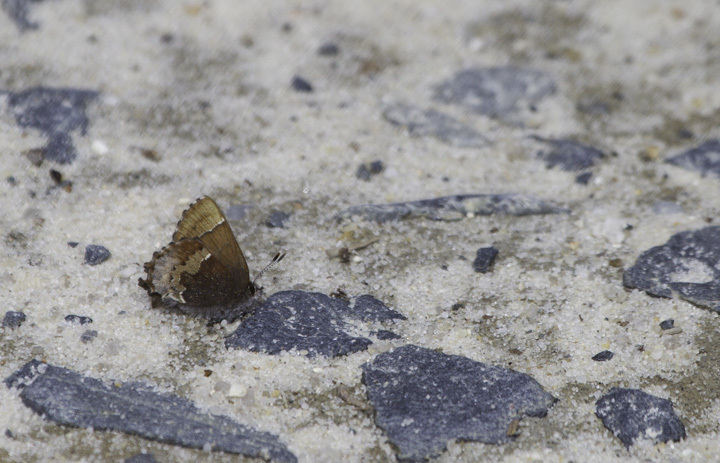 Below: A Henry's Elfin in Wicomico Co., Maryland (4/10/2011). 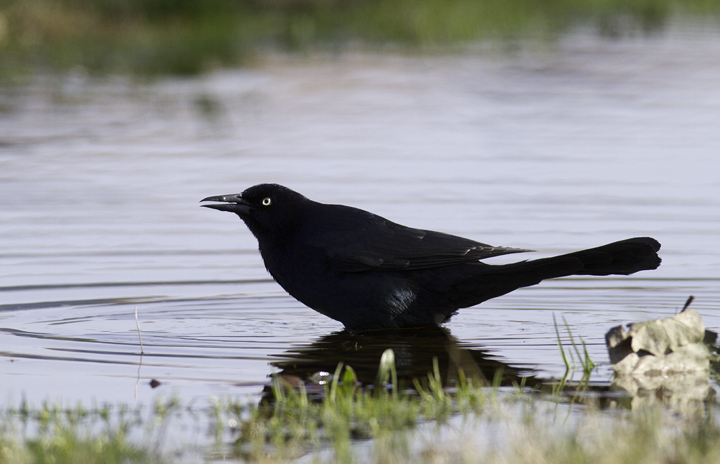 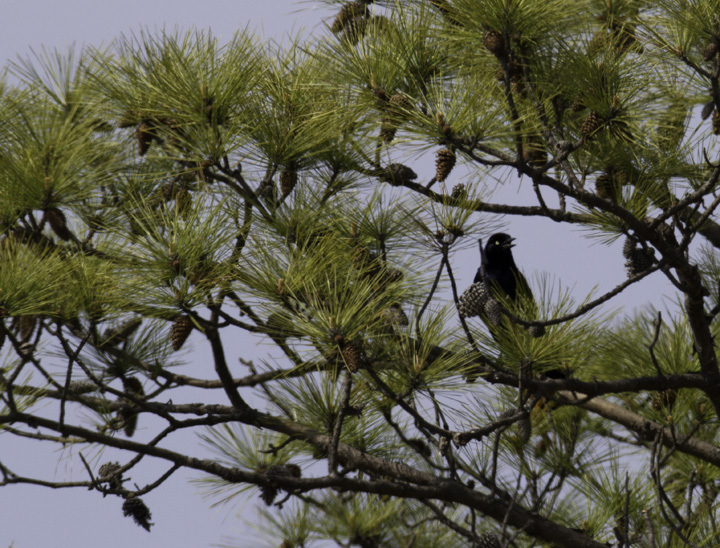 Below: Boat-tailed Grackles are often conspicuous in the town of Crisfield, Somerset Co., Maryland (3/27/2011). 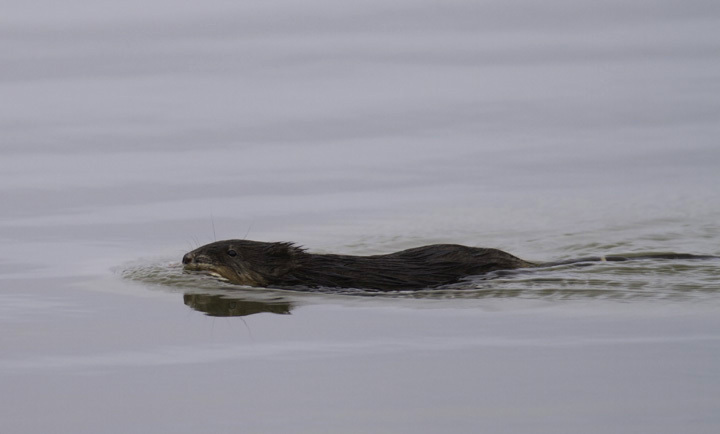 Below: A Common Muskrat running morning errands on the Choptank River, Maryland (4/10/2011). 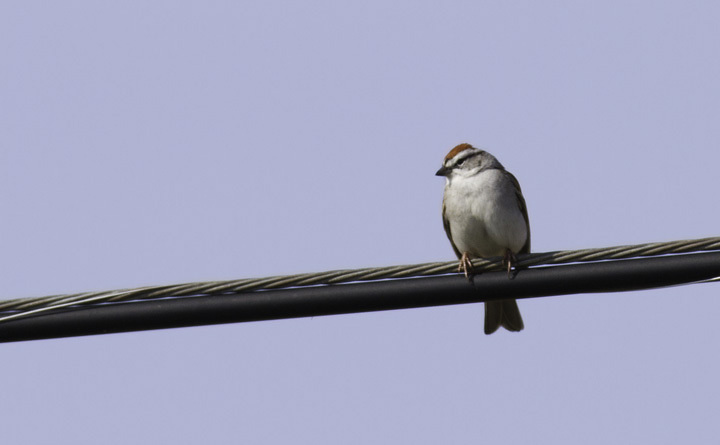 Below: A Chipping Sparrow near the Nanticoke River in Wicomico Co., Maryland (4/10/2011). 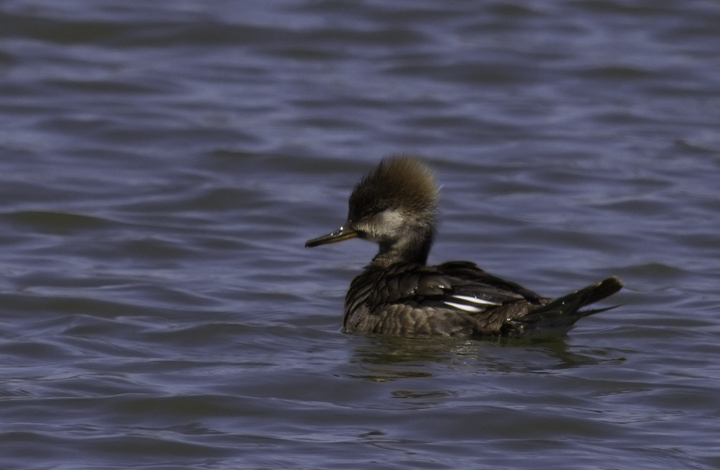 Below: Tanyard Marsh was an unusual location to find three Bufflehead. 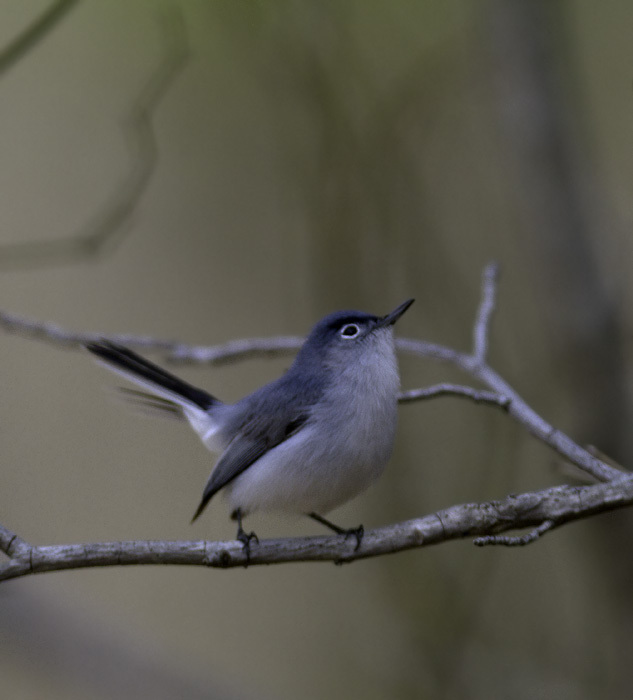 Migration is cool. 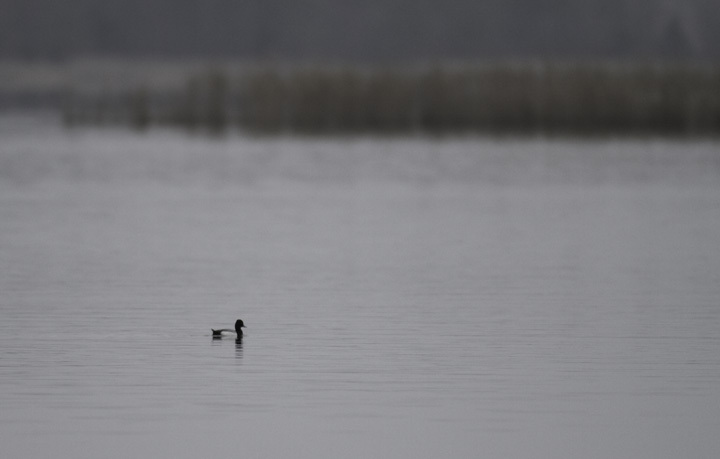 Below: A drake Lesser Scaup slowly floats past Choptank, Caroline Co., Maryland (4/10/2011).